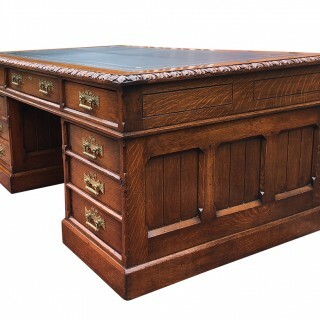 This magnificent antique oak pedestal desk is made from well figured solid oak timbers in the Gothic style of the 19th century. 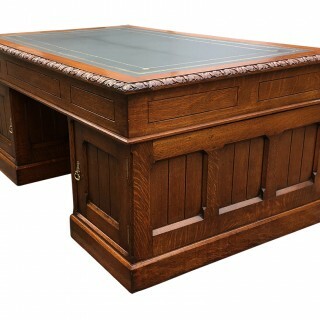 It has recently benefitted from traditional restoration including French polishing and waxing. 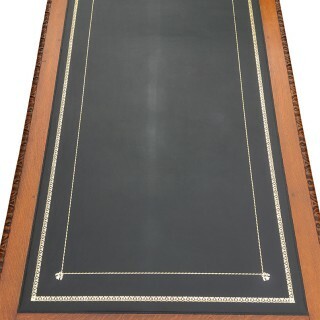 It has a replacement black hide writing surface with gilt and bling tooling. 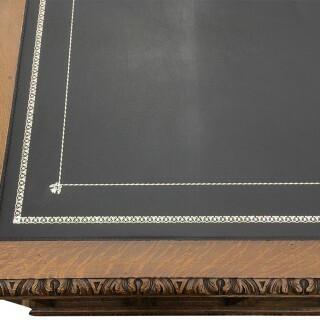 This is surrounded by a band of oak with a bold ‘leaf and dart’ carved boarder. 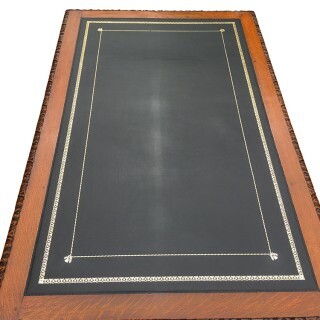 It is a beautifully proportioned with a lovely colour. The frieze is fitted with three, very deep drawers with hand cut dovetails, brass locks and the original large brass plate handles. The pedestals are each fitted with three similar drawers to the front and cupboards to the reverse and stand on plinth bases with hidden brass castors. 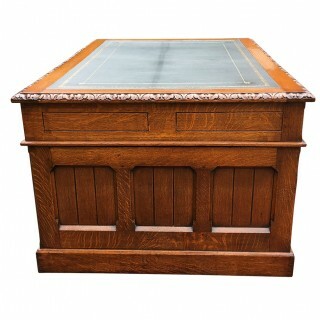 The plinths have panelled sides with matching panelled doors. 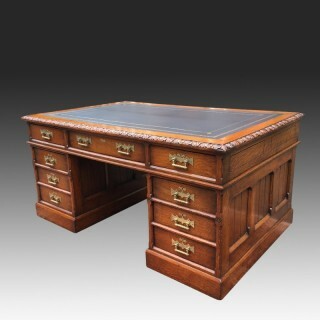 As with most pedestal desk, it is made in three sections, the top and two pedestals, for ease of transportation and installation. 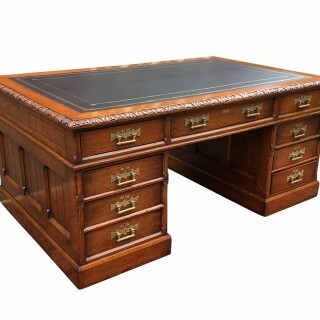 This large antique oak pedestal desk is very handsome and would make a striking centre piece to any study or office.